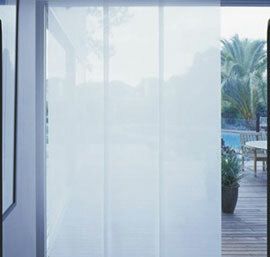 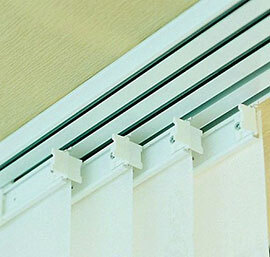 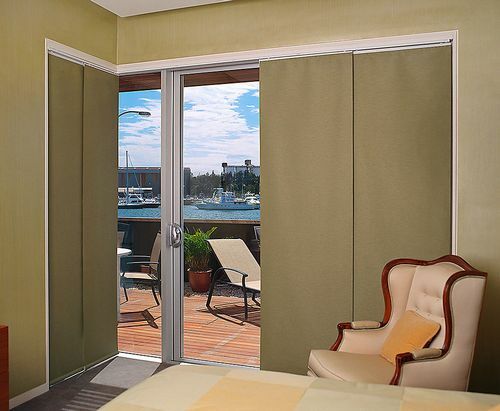 Panel Glide Blinds are a Fabric Panel which runs along a top mounted track or multiple tracks. 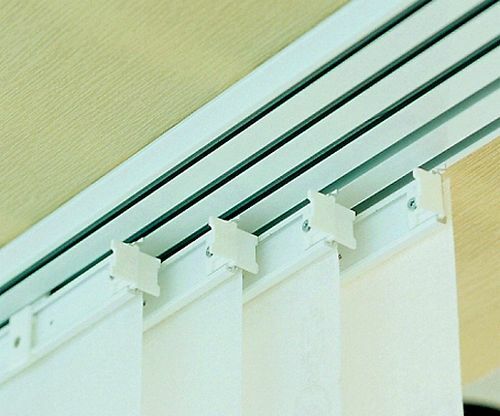 These are generally controlled by a wand at one side of the panel. 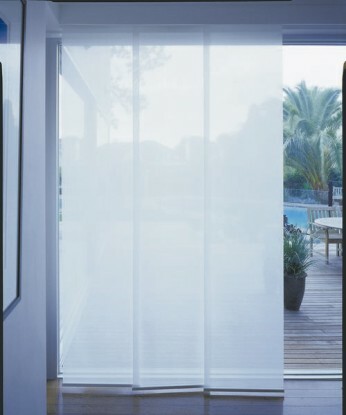 They are well suited to long windows or can be used as room dividers. 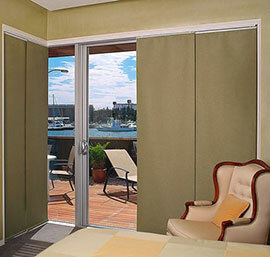 Again there are many fabric and style options to create the look you want.